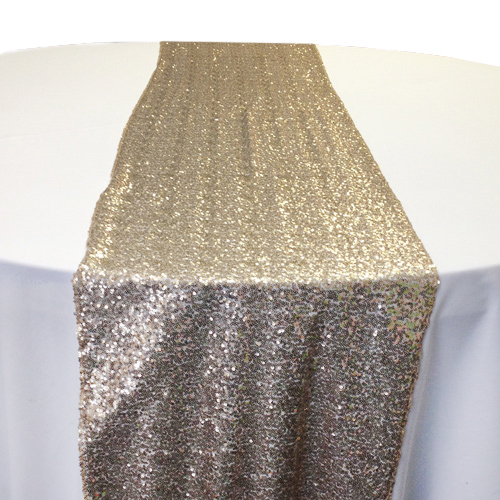 Our Sequin Table Runners are approximately 15" x 108" which make them a great size for nearly any table! They are small sequins attached to a mesh backing so the color of the tablecloth will show through a little bit in some cases. Packed with care, these table runners will arrive ready to go on your tables - no ironing required!